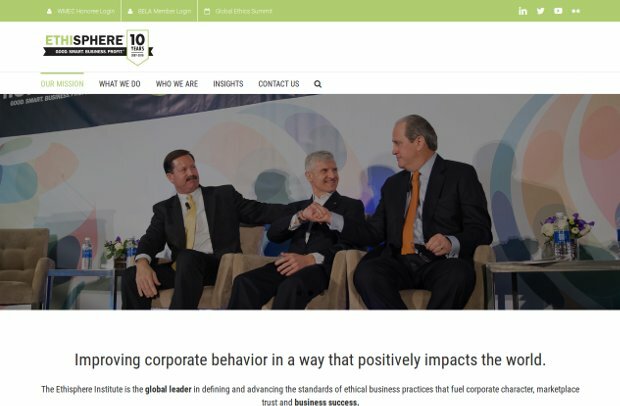 The Ethisphere Institute is the global leader in defining and advancing the standards of ethical business practices that fuel corporate character, marketplace trust and business success. They have an expertise in measuring and defining core ethics standards using data-driven insights that help companies enhance corporate character. Ethisphere believes integrity and transparency impact the public trust and the bottom line of any organization. The organization offers a variety of opportunities for individuals or companies to get involved in the conversation, from those taking early steps to advance corporate character, to those enlightened companies who are paving the way with world-class practices. The World’s Most Ethical (WME) Companies designation recognizes companies that truly go beyond making statements about doing business “ethically” and translate those words into action. WME honorees not only promote ethical business standards and practices internally, they exceed legal compliance minimums and shape future industry standards by introducing best practices today. LAst year’s 144 honorees represent 41 industries and include 21 first-time honorees. Is Trust the new black? Who are the real problem solvers?